Ftwr White / Ftwr White / Gold Met. 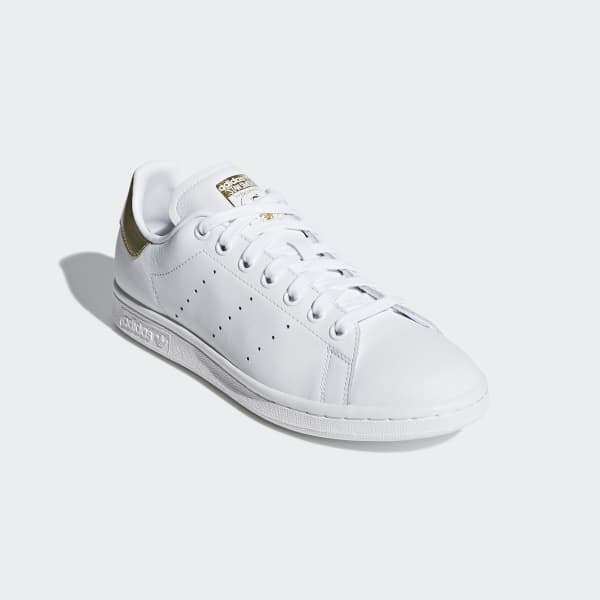 Stan Smith shoes with a shiny metallic heel tab. 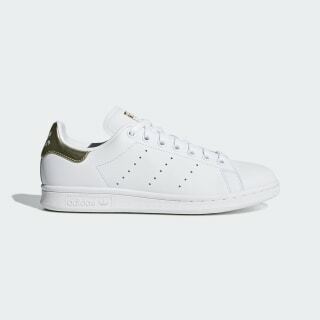 The chic minimalism of the Stan Smith invites creative touches. These shoes show off a metallic heel tab to add some glam to the classic look. The smooth leather upper, perforated 3-Stripes and Stan Smith's portrait on the tongue label add Stan Smith signature style. Product colour: Ftwr White / Ftwr White / Gold Met.